Would the Cardinals accept a third for him? They wouldn’t. They traded a 3rd & a 5th to move up & get him. Keep him & let him play and trade him at the deadline to a team needing a QB because of an injury. Rosen could put up decent numbers to get them at late 1st round pick in 2020. If they take Murray, then Rosen won’t be playing much. Never a bad idea to let a rookie QB sit for a while to learn the offense and how to read NFL defenses. Cardinals would run different offenses for Rosen and Murray. You just know that if they hold onto him long enough someone will bite the bullet. They always do. Dolphins r the most logical QB needy team right now. If they cannot trade up for Haskins or he doesn’t slide I could see them sending a 2 for Rosen. Well what would you expect him to say? First year coaches historically struggle anyway so the Dolphins are going to do a lot of losing even without having to resort to a tank strategy. Exactly this. They’re a 3 win roster. No need to tank. Don’t forget that brainless guy that suggested the pats trade a 1st and 3rd for Rosen and a 4th the other day. The Pats trading their 1st (#32 Overall) for Rosen and either a 3rd or 4th back from Arizona could be a plausible deal. Pats like to keep their rookie salaries low, and since Rosen’s signing bonus would stay with Arizona, they’d get him for the next 3 years for around $2M/yr which is less than they would pay this year’s 1st round pick (including annual cap hit for signing bonus). 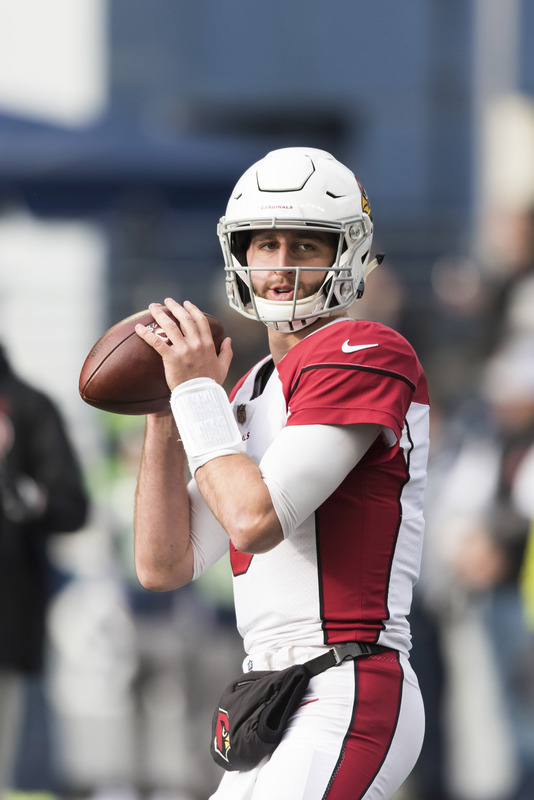 So if the Pats feel that Rosen could be a legit starter in the NFL, trading their 1st round pick may make sense so long as Arizona gives them a pick back. Id rather have Bridgewater than Rosen. Anyway, it was a 3rd for Bridgewater and a 5th. If someone coughs up as much as an early 3rd they very well might be able to get him. No way will they trade him for a 3rd rounder. He can sit on the sidelines and rot. Late first or 2nd. Funny how big market teams like the Giants think they can give whatever. Open will be traded by the draft. More likely on draft day. If the Cardinals are intent on picking Murray no way Rosen is on the roster after the draft. People seem to think that As the season comes closer a team will overpay, why? There is an old saying in football, a team that has 2 QBs has NO QBs. Having both will cause divide in the locker room, eat up cap space and the Cards will have to accept pennies on the dollar. Look for him to go for either a low 2nd, or 3rd and a 4th rounder in 2020 draft. Something s better than nothing. Picks I think would be in play… New England has 2 2nds. Giants 37th. Cincy 42nd. Miami 48th.